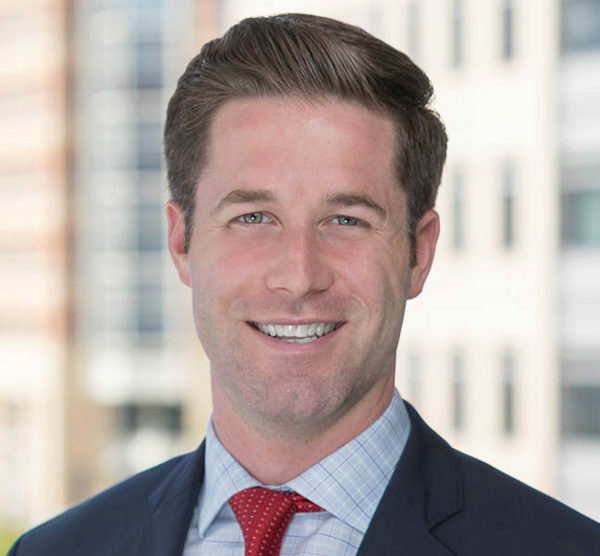 As a former U.S. Navy officer, Marty Pendleton, WG’20, knows a lot about the importance of leadership and building teams. 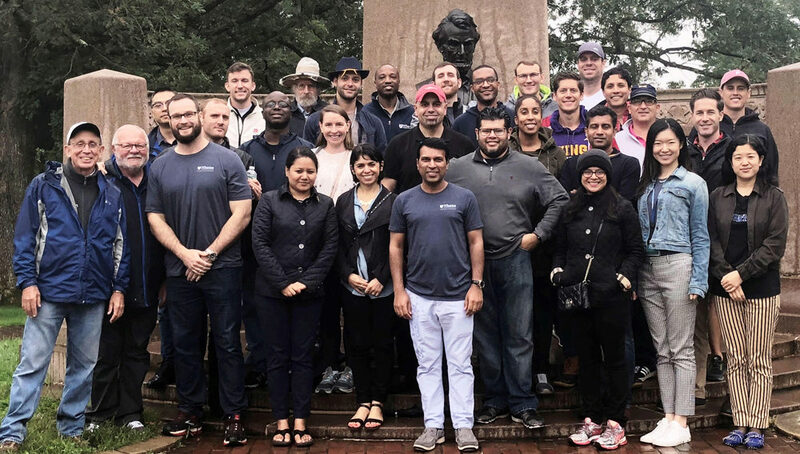 At Wharton, he particularly enjoyed diving into leadership topics in Prof. Michael Useem’s core Management class and jumped at the chance to participate in an optional Leadership Venture to Gettysburg National Military Park. “This was an opportunity to learn about leadership in a historical context — and also a fun field trip with my classmates,” he said. The full-day Venture took students around the battleground, where they discussed pivotal leadership decisions and reflected on how those lessons apply to their current jobs. “Many of the things leaders struggled with during that battle are still relevant and help you think about your own leadership journey. The stories and lessons stick with you in a vivid way, and that has a lasting and poignant learning effect,” he said. Marty (right) with classmates at Lincoln’s Gettysburg Address Memorial. “General Lee made a decision to break the rules of engagement and attack uphill into a well-defended Union position. His training at West Point went against this decision, but he followed his emotions and his instinct to fight. If he had listened to his Generals and assessed the situation based on facts, he may have been able to see that the fundamentals all said not to attack. “Before it was clear that Gettysburg would be a momentous battle, Union General John Buford made the decision to move cavalry to defend the high ground. Holding that ground had a decisive impact on the battle. Buford was able to act autonomously because his leaders empowered him to assess situations and take action. If he had waited for permission, it could have been too late. The Union Army was at its best when its leaders communicated a vision and entrusted subordinates to act decisively. The lesson is that it’s important to empower people because leaders can’t witness every developing situation. One of my Sailors told me this when we were discussing our division’s performance: “Sir, you never hear about 90% of the problems because we fix them before they get to you.” It was humbling reminder of how much easier life is when you empower the right people. 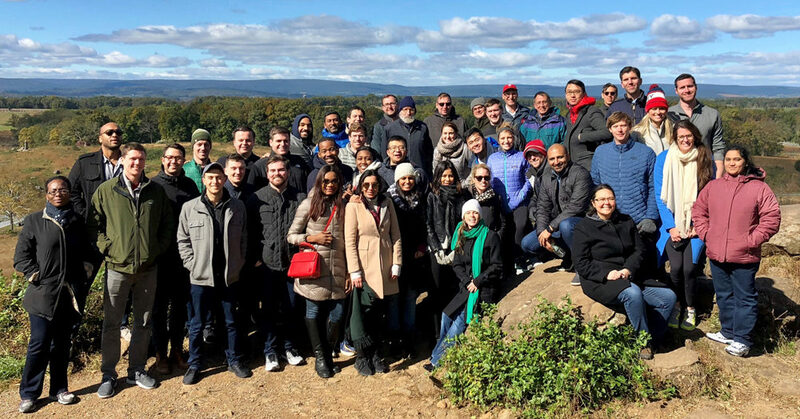 WEMBA East at the Gettysburg battlefield on Oct. 21, 2018. “The lack of good intelligence had a devastating impact on both sides. Intelligence often amounted to a game of ‘telephone’ from scouts and spies, lookouts and letter couriers. Information often didn’t arrive on time. While you may not have all the information you want in the confusion of war, commanders still need to establish criteria for the “minimum information required” to make a decision. If they don’t reach that minimum, they factor that into their decision-making. Click here to read a Q&A with Prof. Michael Useem about the Gettysburg Leadership Venture.